Belize City, Belize – July 29, 2015 – Today, a press conference was held at the Best Western Belize Biltmore Plaza Hotel, announcing airline services to Belize via Copa Airlines. Starting December 8th, 2015 Copa airlines will be offering 2 weekly flights to Belize City from Hub de la Americas Panama City, Panama. With this new addition, Copa Airlines will now expand its route to 75 cities and 31 countries in North, Central, South and the Caribbean with Belize being the 7th in Central America. With the addition of Belize, they are now covering all of Central America, strengthening their regional leadership. Said Pedro Heilbron, Executive president for Copa Airlines. Flight CM 281 will leave Belize City Tuesdays and Fridays at 2:17 p.m., arriving at ‘Hub de las Americas’ at the Tocumen International Airport in Panama City at 5:34 p.m. The return flight, CM 280, will leave Panama Tuesdays and Fridays at 11:29 a.m. arriving in Belize at 12:52 midday. All flights are local time and the flight time is approximately 2 hours and 20 minutes. For its direct flight to Belize, Copa will be operating a modern Embraer 190 aircraft with capacity for 94 passengers, 10 in Executive Class and 84 in the main cabin. This aircraft is characterized for having 2 seats in each side of the isle without a center seat, which makes it more attractive and comfortable for passengers. 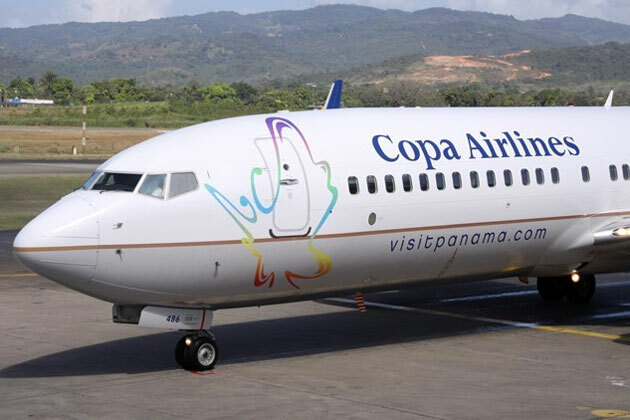 From Hub de las Americas in Panama, Copa airlines offers more international flights than any other airline with a center of operations in this continent. The flight from Belize to Panama was programmed to provide convenient connection to Sao Paulo, Brazil; San Jose, Costa Rica; Bogota, Cartagena and Medellin in Colombia; Santiago de Chile, Chile; Quito and Guayaquil in Ecuador; Managua, Nicaragua; Port of Spain, Trinidad & Tobago; Havana, Cuba; Santo Domingo, Dominican Republic and Lima, Peru. The passengers in transit will not need to pass through immigration or wait in a customs line, and their luggage will be checked at their final destination. In addition, Belizeans will have access to the top 5 biggest shopping malls in Latin America, a “Stop Over” two nights free of charge in Panama, and easier access to the Caribbean and Latin America for business and vacation. “I must reiterate how important this partnership is, as COPA will not only supply significant potential markets for Belize, but also offer excellent and competitive linkages to the Caribbean, Central and especially to the South American market. Currently, the latter represents less than 5% of overnight tourist arrivals to Belize, with the biggest barrier being limited accessibility. As a result, and in keeping with our initiation of strategic and targeted marketing efforts in South America, this partnership could not come at a more opportune time”. The new COPA-Belize flight partnership. 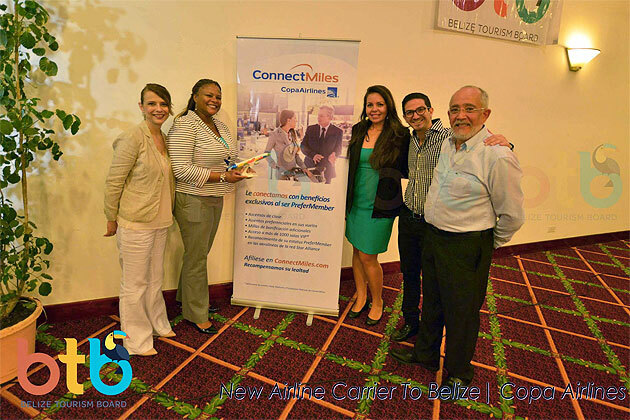 Representatives (l-r) Regional Manager of COPA Airlines Ms. Elisa Brenesrector, Director of Marketing & Industry Relations Ms. Karen Pike, Ms. Noriko Gamero, Manager of Media PR and Industry Relations, and COPA Representatives Mr. Bernardo Ordas Guardia, and Mr. Eduardo Aguilar. The new COPA Airlines-Belize flight partnership. Representatives (l-r) Director of Marketing & Industry Relations Ms. Karen Pike, Regional Manager of COPA Ms. Elisa Brenes, Minister of Tourism, Culture and Civil Aviation, Hon. 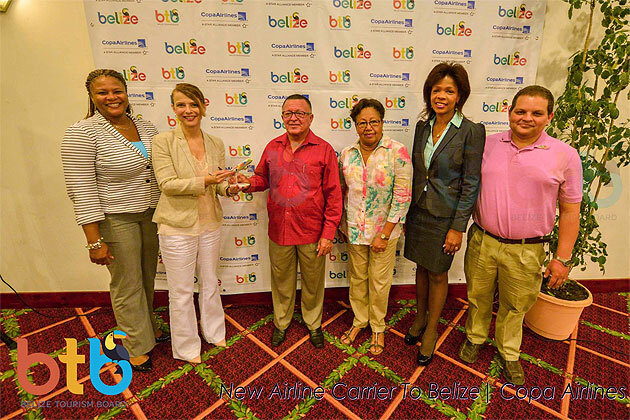 Manuel Heredia Jr., Chairman of the Belize Tourism Board Dr. Carla Barnett, Director of Tourism, Mrs. Karen Bevans and Mr. Anthony Hunt, Chairman; Airline development committee - Tropic Air.